Bardajee, G., Hooshyar, Z. (2013). Degradation of 2-Chlorophenol from Wastewater Using γ-Fe2O3 Nanoparticles. International Journal of Nanoscience and Nanotechnology, 9(1), 3-6. G. R. Bardajee; Z. Hooshyar. "Degradation of 2-Chlorophenol from Wastewater Using γ-Fe2O3 Nanoparticles". International Journal of Nanoscience and Nanotechnology, 9, 1, 2013, 3-6. Bardajee, G., Hooshyar, Z. (2013). 'Degradation of 2-Chlorophenol from Wastewater Using γ-Fe2O3 Nanoparticles', International Journal of Nanoscience and Nanotechnology, 9(1), pp. 3-6. Bardajee, G., Hooshyar, Z. Degradation of 2-Chlorophenol from Wastewater Using γ-Fe2O3 Nanoparticles. 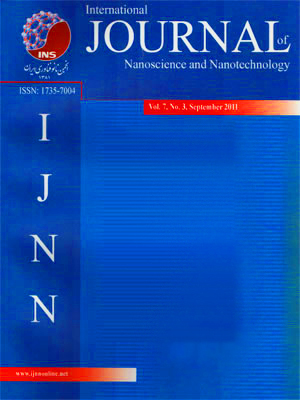 International Journal of Nanoscience and Nanotechnology, 2013; 9(1): 3-6.